[twitter]Be afraid. Be very afraid. Want to know why so many young girls are entering puberty around 10, when it used to be around 13 or 14? Want to know why so many teen boys can grow a full beard in Grade 10, when I could barely get peach fuzz? Baby bottles. Specifically, plastic baby bottles laced with Bisphenol A (BPA). They’re cute, they’re convenient, and they’re poisoning our children. Retailers are making sweeping changes today in advance of Health Canada declaring BPA as a dangerous chemical. A dangerous chemical that appears in everything from infant food containers to compact discs. It has now been linked to early onset puberty in children and breast cancer and prostate cancer in adults. Health Canada is expected to issue a risk assessment this week that BPA is a potentially dangerous chemical, a move that could lead to some restrictions in its use, particularly for consumer applications that are likely to come into direct contact with foods or beverages. 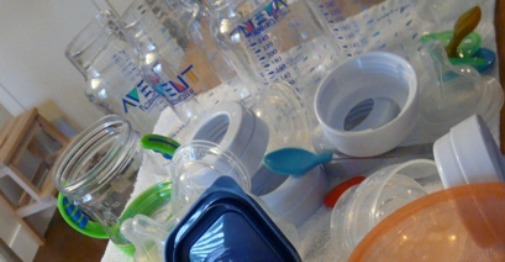 Avent, a leading manufacturer of baby bottles, tows the company line when asked if their bottles contain harmful levels of BPA by only saying their products meet government standards. Well, the government standards are about to change, and those bottles, in fact, DO contain BPA. Look at the recycle number on the bottom. 1, 2, 4 and 5 are better. 3, 6 and 7 are bad. ZRecs also has a text service where you can text Zrecs and the company name to 69866 and they will text back with BPA info on that company. SO WHAT CAN WE DO ABOUT BPA? First off, learn as much as you can about BPA. Then, go through your cupboards and get rid of everything that might be hurting you, and your family. One of the first things we did last week was switch up my son’s water bottle. 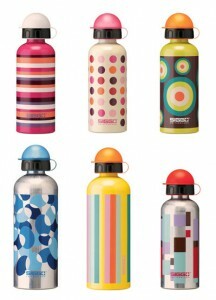 We picked up a Sigg bottle made of aluminum from Whole Foods. Expensive as hell, but safe for my son. There have been rumblings about this chemical for years, but many disagreements between the studies. But look deeper as to why the studies disagreed. Dozens of studies by independent researchers have linked low exposure to BPA in animal and test-tube experiments to illnesses, such as cancer, that are thought to have an origin in hormone imbalances, although industry-funded studies haven’t been able to find the same effects. Arm yourself with knowledge and make changes in your lifestyle. For your health. For the health of your children. 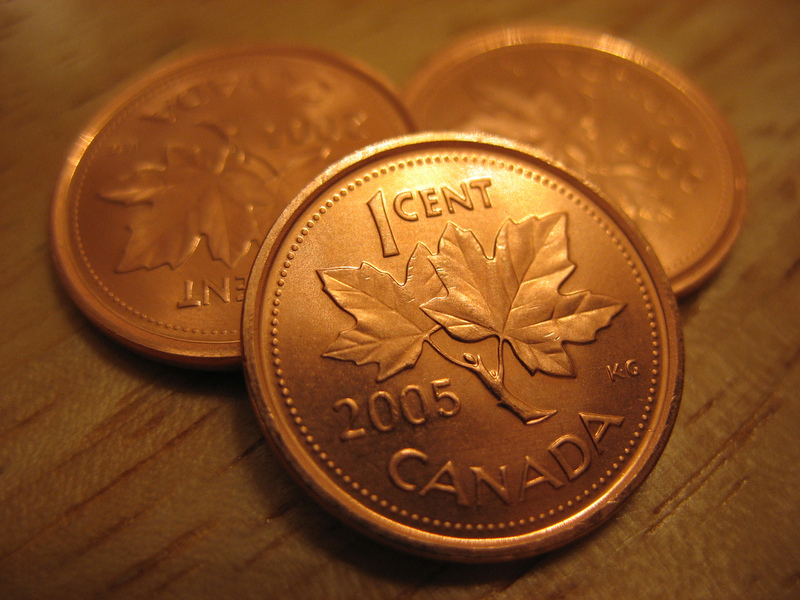 What Do I Do With My Pennies?